A new study says that standing up at your desk doesn’t actually decrease your risk of death-by-office, unless you’re physically active otherwise. Researchers tracked 16 years’ worth of health data from 5,132 people in the Whitehall II study cohort. Participants reported their total time sitting and how long they sat during four different situations: at work, watching television, leisure time and non-television leisure time. Researchers also tracked time spent walking daily and on physical activity. After controlling for a number of factors, including diet and general health, researchers found the overall mortality risk for these participants wasn’t influenced by how long they sat or by the kind of sitting. And the researchers cautioned that too much emphasis on not sitting shouldn’t take the place of promoting physical activity. What’s particularly interesting about the study, published in the International Journal of Epidemiology, is that researchers didn’t just focus on sitting during the workday, but factored in all kinds of sitting-specific data as well as rates of physical activity. Their conclusion was that “sitting time was not associated with all-cause mortality risk.” Basically, more elements are in play than just whether you’re sitting down at work, and your levels of physical activity are the greatest health indicator. So what does this all mean? It appears that the act of working while standing up—which has become a trendy thing to do, especially in tech offices—doesn’t help your health, if you’re not actually exercising otherwise. If you never make it to the gym, you might as well just sit down. This is good news for the makers of treadmill desks, however. The last office where I worked jumped on the standing desk trend hard, installing desks that could be raised for all workers. They also had a treadmill desk, and a bike desk. 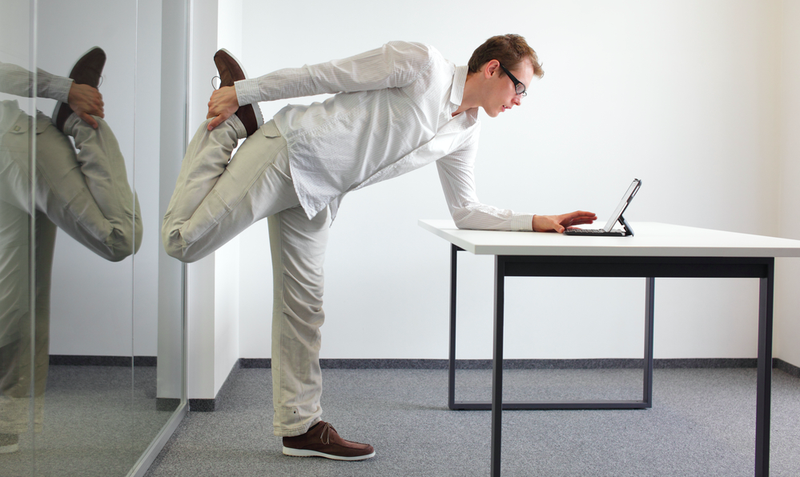 While the option to stand is certainly nice as a change in the middle of a monotonous workday, this research suggests it’s not the cure-all that adherents would like to claim. The takeaway here is companies that truly want to assist worker health should invest money in options like free exercise classes and gym reimbursements. They should encourage employees to go outside and actually walk around, not simply stand up at their computers. And maybe it means that everyone who insists that standing up is the only way to work can climb down off their high desk.